With a new beta build comes more things to play with. As of last night the Grand Expedition Yak is available for only 60,000 gold from Uncle Bigpocket at the Grummle Bazaar in Kun-Lai Summit (Near One Keg). It has two vendors. A Food/Repair guy and an Arcane Reforger. The food he sells is level 90 so this is a good upgrade for the Traveler’s Tundra Mammoth. 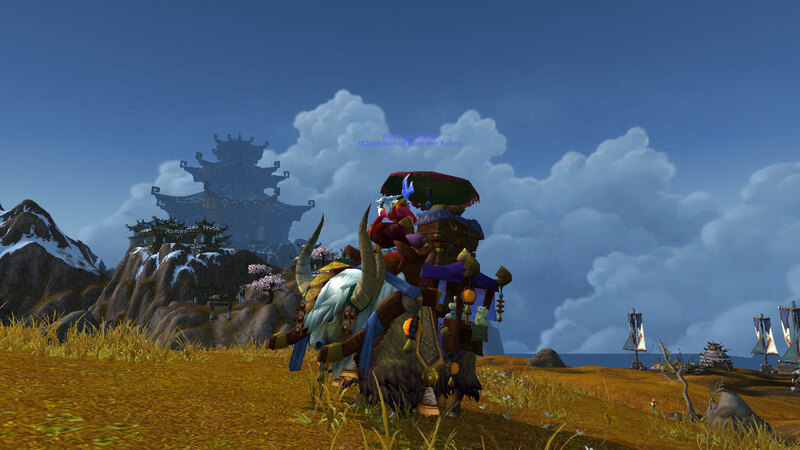 As of writing this the Grand Expedition Yak is one of those mounts that is NOT ACCOUNT WIDE. Although that may change before it goes live.